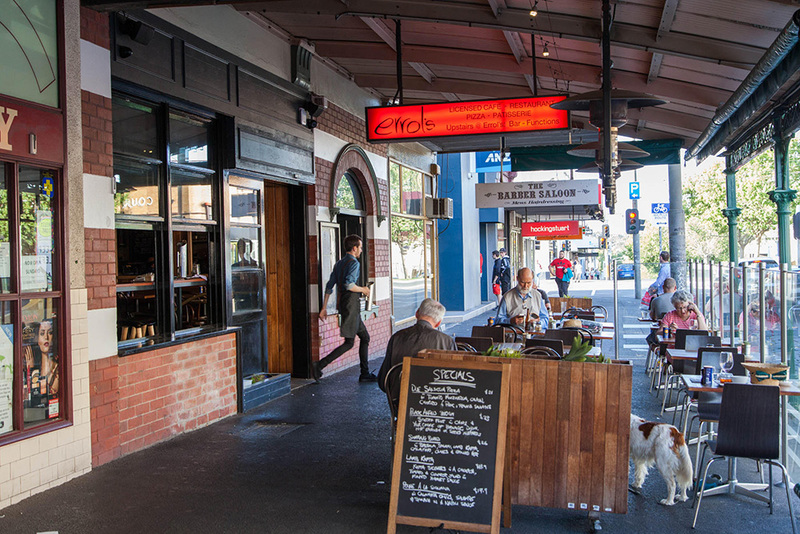 Nestled in the leafy and iconic Errols Street in North Melbourne, Errol’s Restaurant and Bar is a culmination of what it means to provide delicious, high-quality restaurant and café eats. We are a modern Australian café influenced by many different cultures from around the world and specialise in all areas of high-quality, affordable and tasty food. Looking for a little something to accompany your barista-made coffee? Take your pick from our divine range of desserts made by our pastry chef on-site! We also have an extensive drinks menu, which includes cocktails and craft beers. Charming both inside and out, our deep mahogany brick facade, gorgeous outdoor seating and unique designer light fittings are the perfect backdrop for any occasion, whether it’s dropping in for breakfast, lunch, dinner or anything in-between. Our affordable and comprehensive function options will take the hassle out of your next event or function, for both personal celebrations, such as birthdays, or for work and corporate events. Functions & Catering is another area we like to pride ourselves on. Our function venue is spacious, stylish and includes catering and a bar with a bartender to ensure all your needs are met and you can focus on having a great time. Whether it be for an office lunch or a party you are hosting, we want to make sure you will be more than satisfied. So, if you have any questions or queries, get in touch with one of our friendly staff members today!